For more than two billion people it’s a matter of faith. Almost a third of humanity doesn’t need proof that two thousand years ago a man named Yeshua, Jesus in other languages, known by his followers as Christ, the Messiah, walked on Earth. However, beyond the private preserve of belief, what extends outward is a vast territory for research, which must unearth the historical and scientific evidence to try to answer a reasonable question: did Jesus of Nazareth actually exist? Or is his story a tradition built on a legend, like those of Robin Hood or King Arthur? The oldest written references mentioning Jesus date from after his death. He appears for the first time in the letters of Saint Paul, written between 20 and 30 years after the crucifixion. Saint Paul never knew Jesus, although according to what Simon Gathercole, the New Testament studies specialist from the University of Cambridge (United Kingdom) explains to OpenMind, he knew “not only Jesus’ disciples but also his brothers,” (in reference particularly to James the Just, whose kinship with Jesus is one of the points of disagreement between different Christian sects). A couple of decades later, the New Testament Gospels were written, which do appear to contain first-hand testimonies. Yet despite this, according to the experts very few of them can be considered rigorously historical. In particular, the baptism of Jesus by John the Baptist and his crucifixion are the only two episodes generally accepted, but not by all. 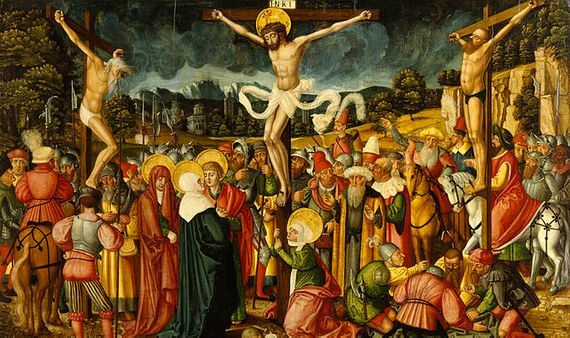 “The crucifixion is safe, but the baptism is hard to support or locate,” the archaeologist and biblical researcher Eric Meyers, professor emeritus of Jewish studies at Duke University (USA) tells OpenMind. But the ancient references to Jesus are not just found in works by Christian authors, an argument that supports the historical authenticity of the character. “Jesus is also mentioned in ancient Jewish and Roman texts,” says McCane. For example, around the year 93, the Pharisee historian Flavius ​​Josephus left in his work Jewish Antiquities at least one indisputable reference to the “brother of Jesus, who was called Christ.” Two decades later, the Romans Pliny and Tacitus also wrote about Jesus; the latter explained that the founder of the sect of Christians was executed during the mandate of Emperor Tiberius, when Pontius Pilate was governing in Judea. And all this despite the fact that physical remains are virtually non-existent. “There is no archaeological evidence directly for Jesus. Non-textual evidence begins around the year AD 200,” says Gathercole. 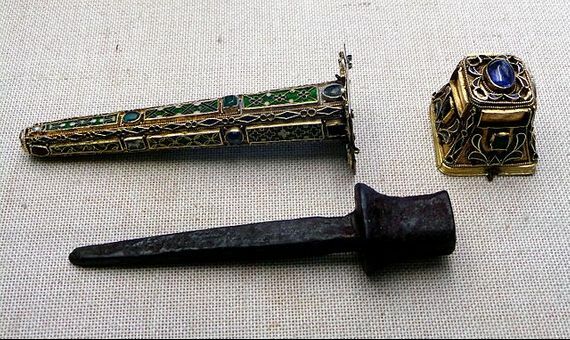 Leaving aside the archaeology referring to episodes in the life of Jesus, the veracity of which is questioned, there are various physical artefacts associated with the crucifixion. The alleged fragments of the cross scattered around the churches of Europe are so numerous that, according to what the Protestant theologian John Calvin wrote in 1543, there are enough of them to fill a ship. A similar phenomenon has happened with the nails, which number up to thirty. 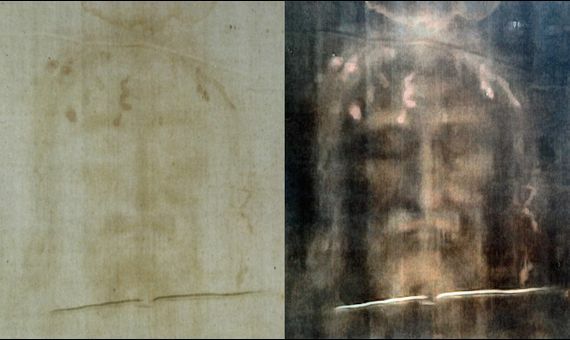 As for the Shroud of Turin, the burial shroud that the body of Jesus was said to have been wrapped in, it has been revealed to be a medieval counterfeit. According to McCane, it does not correspond to a first-century fabric—that type of cloth was invented centuries later—nor to a man from the first century—his stature and physiognomy don’t match the average Galilee of that time—nor to a burial from the first century—the Jews of the time did not wrap their dead with a single piece of cloth. The Shroud has also been the subject of an examination from one of the latest techniques incorporated into the historical research of Jesus: DNA analysis. In 2015, a study found that the canvas contains genetic material from multiple people of different ethnic backgrounds, from Western Europe to the Near East, Arabia and India. Naturally, there are no skeletal remains for a DNA analysis that can be directly attributed to Jesus, which would be incompatible with the Christian belief in his resurrection. According to tradition, the Church of the Holy Sepulchre in Jerusalem houses the place of burial, discovered and preserved by the Emperor Constantine in the fourth century. Although it is impossible to determine if that was the true tomb of Jesus, a study published last June has dated the construction to the fourth century, corroborating the historical data. 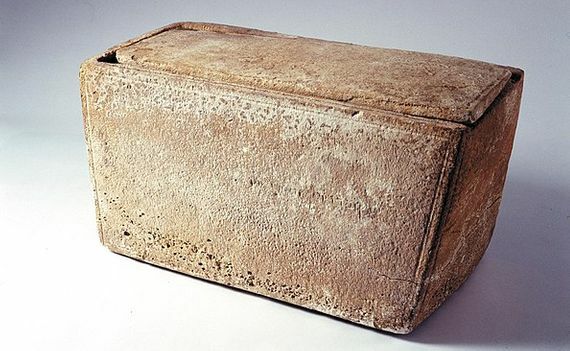 However, as reported by the geneticist from the University of Oxford (United Kingdom), George Busby, and the biblical expert Joe Basile in his documentary The Jesus Strand: A Search for DNA (2017), some researchers have investigated the possibility of trying to compare DNA from two different sources: on the one hand, the presumed ossuary of James, the “brother” of Jesus; on the other, the bone fragments found under the ruins of a church on a Bulgarian island in the Black Sea, which could correspond to John the Baptist. If John and Jesus were relatives, the comparative analysis of both remains could bring us closer to the very genes of Christ. What was the First Thanksgiving Day?